There are multiple ways you help CASAS. We are staffed entirely by volunteers and all funding for our shelter is derived from donations and fundraising events. If you would like to make donation we are open every day from 2:00-4:00 PM. Please visit us at 5 Sandy Hill Lane in Provincetown. At this time we do not need blankets, pillows, comforters, litter boxes, cat carriers, or dog crates. Thanks! CASAS has created an account with AmazonSmile. 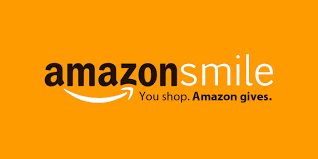 This is a program where Amazon donates 0.5% of the purchase price of eligible products to the charita- ble organizations selected by their cus- tomers. So, please help us out if you shop with Amazon. Simply go to http://smile.amazon.com -- You will need to spell out Carrie A. Seaman Animal Shelter not just CASAS. This clever play on words is actually a way for you to walk your dog for more than just his/her, and your, bene- fit. With this free phone app, your walking miles are kept track of auto- matically and money is donated to your favorite animal shelter. You don’t even need to have a dog, just walk! The more people that use it for CASAS, the more money is given to us. Just go to www.wooftrax.com for all the informa- tion and to download the app.